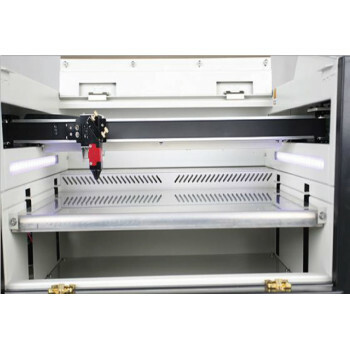 OKU A3 is a desktop laser cutter and engraver It allows you to engrave pictures and vector immages in a black and grey scale. It can cut over many matterials that don't reflect light. The Machine has been designed to be simple and robust. It's chasis is made out of steel and aluminium what guarantees durability and reliability. 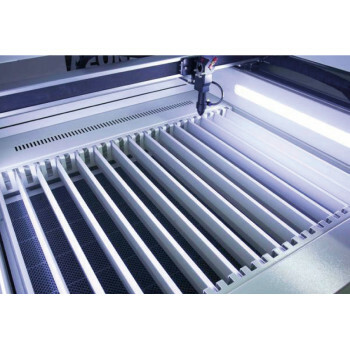 OKU 600 is a laser engraver/cutter with 600x1000mm working area It allows to engrave photos and vectorial images in grayscale and mark/cut contours on many different materials. The machine has been designed for robustness and simplicity. Its frame is made of aluminium and steel, so the realiability is assured. Protection glasses for using the OKU laser machines.